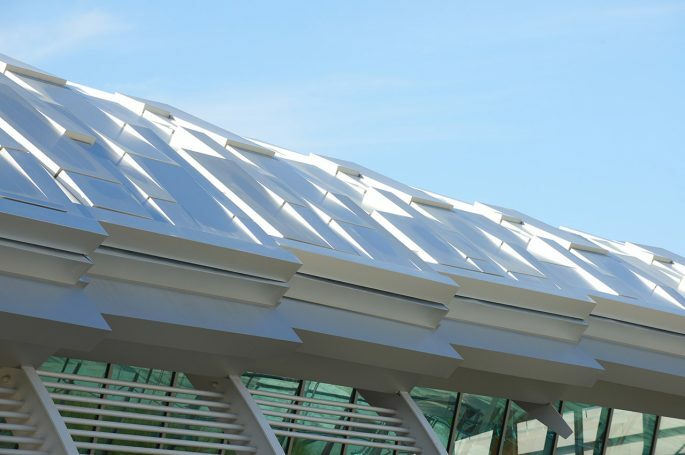 How Anodized Aluminum Differs From Painted Aluminum | Wrisco Industries Inc.
Anodizing is a process that applies a protective coating to an aluminum surface. This coating is not only incredibly durable but is also aesthetically pleasing. Yes, painting is another option for coloring or dying aluminum. However, when compared to anodizing, the initial cost and long term advantages anodizing provides make paint a pointless option. Aesthetics, durability, and cost all play a role in deciding which application is best. Anodizing or Painting? When it comes down to it, the application and desired appearance of the aluminum dictates the finished product. If looks, hardness, and aesthetics are desired, Anodizing is the go-to solution. To start with, anodizing applies an oxide layer that grows from the aluminum’s surface. This is done through an electrochemical process where anodizing bonds to the aluminum at a molecular level. In terms of hardness, anodized aluminum is second only to diamonds when it comes to hardness. The surface naturally resists scratches in ways a simple paint coat could never achieve. Anodizing is an electrochemical process that forms a protective coating on the surface of aluminum. This coating can be colored or dyed in accordance with your coating preferences. The aluminum oxide coating applied is not only very hard but incredibly durable. This coating also protects the base metal with a weather resistant substance. Applying an anodized coating to aluminum means it will not chalk, chip, flake, or peel. An anodized aluminum layer not only lasts longer than painted aluminum but is much easier to clean. Saving you a lot of money over time while at the same time increasing the lifespan of the metal coating. Having aluminum anodized means the metal becomes much more resistant to abrasions. Ultimately providing impeccable durability and superior scratch resistance. Anodizing essentially makes aluminum look better, last longer, and become more durable. When you want true strength and beauty to shine through, anodizing is the go-to solution. It is capable of creating that “true” metal look such as titanium, stainless steel, bronze, and so much more. When it comes to your choice of aluminum finish, anodizing is the most sought after coating option. Especially for storefronts or anywhere else, a rich metallic appearance is desired. Among the vast options aluminum finishes, Anodizing lasts longer, looks better, and at times can be more economical. Looking to have aluminum or metal applications Anodized? Get In Touch With WRISCO At (800) 627-2646 Today!